Rob Huff left it late in First Qualifying at WTCR Race of Macau to claim the DHL Pole Position for Race 1 at the Circuito da Guia this morning. 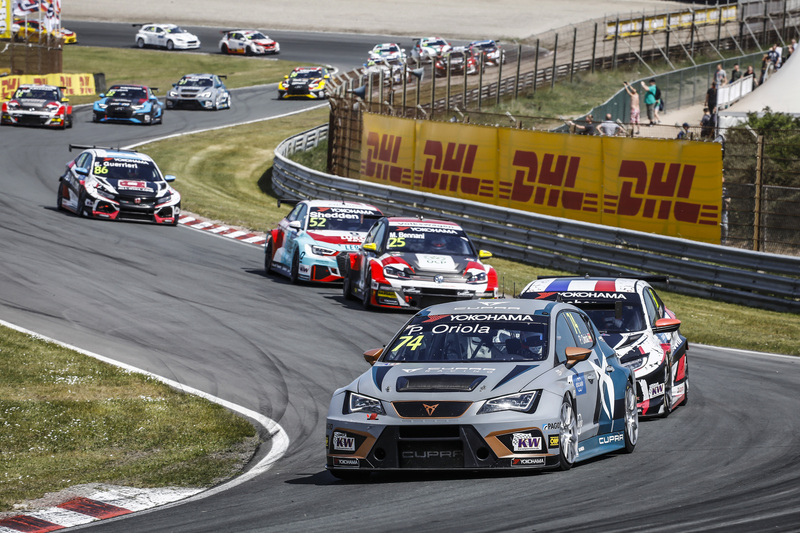 ALL-INKL.COM Münnich Motorsport’s Esteban Guerrieri had already celebrated being fastest in the pitlane, when the Sébastien Loeb Racing Volkswagen Golf GTI TCR flashed across the line to bump the Honda Civic Type R TCR from the top spot. Huff lowered his own Macau record with a 2m29.090s lap to secure the DHL pole as he bids for a record-extending win number 10 on the 6.12-kilometre street circuit. “The races are something else around here, but I’ve given myself the best chance to go for the win,” said a delighted Huff. “That is for the team. We’ve had some rotten luck this year and our place in the championship doesn’t reflect our pace. 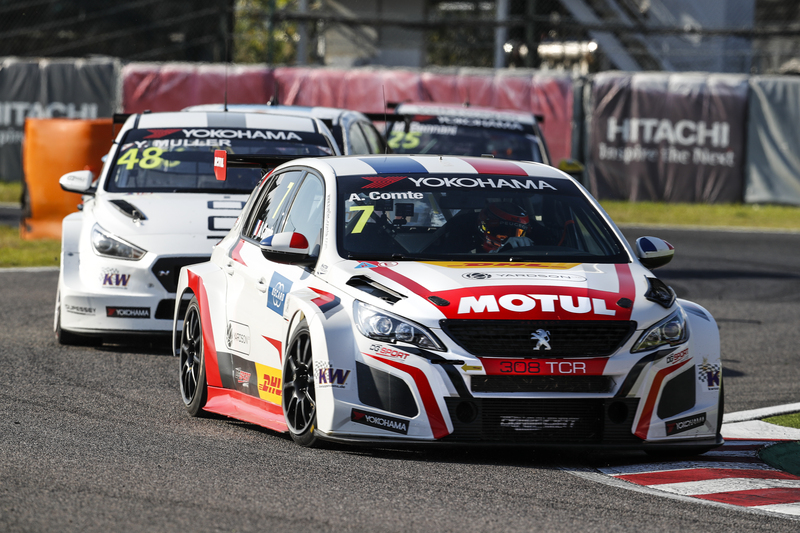 Behind Guerrieri, Yvan Muller was third fastest in his YMR Hyundai i30 N TCR, as the Frenchman bids to overhaul fellow veteran Gabriele Tarquini to claim the inaugural WTCR – FIA World Touring Car Cup presented by OSCARO title this weekend. But Muller wasn’t happy following a moment with Guerrieri out on the circuit. Muller’s nephew Yann Ehrlacher was fourth in his ALL-INKL.COM Münnich Motorsport Honda, but the Frenchman knew before the 40-minute session began that he will start Race 1 from the back, following an engine change since the last round at Suzuka. Jean-Karl Vernay, quickest in the first free practice session on Thursday, was fifth in his Audi Sport Leopard Lukoil Team entry, from Huff’s team-mate Mehdi Bennani. 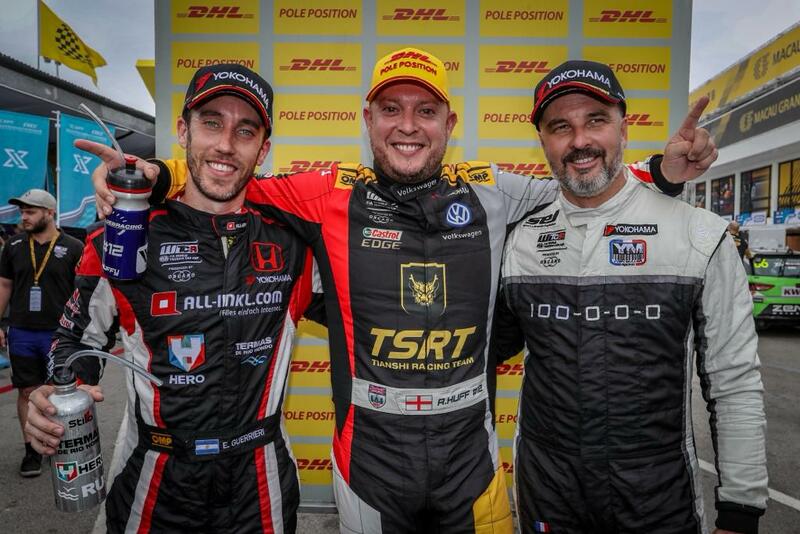 WTCR OSCARO points leader Tarquini qualified a solid eighth behind his BRC Racing team-mate Norbert Michelisz. Audi Sport Team Comtoyou’s Frédéric Vervisch and Team OSCARO by Campos Racing’s Cupra TCR of Pepe Oriola completed the top 10. The session was interrupted by a red flag following an accident for Muller’s team-mate Thed Björk. 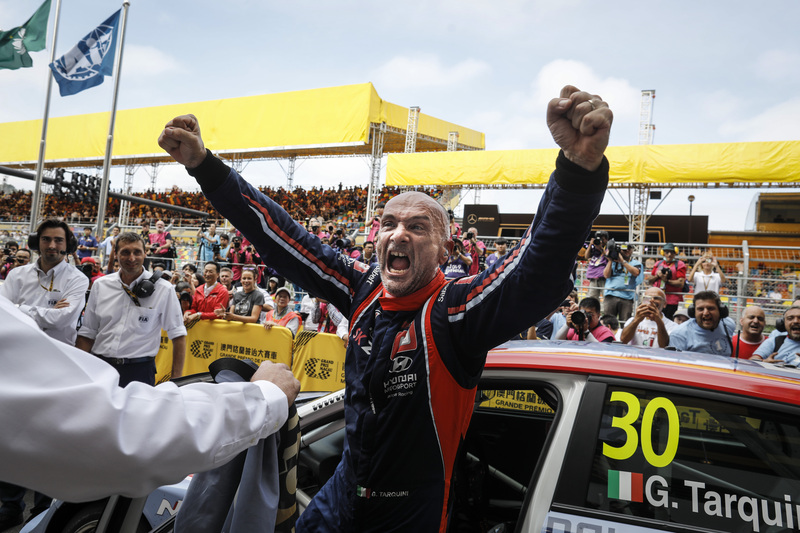 The Swede dented both his WTCR OSCARO title hopes and his Hyundai by catching the tyre wall on the exit of the fast Fisherman’s Bend. Comtoyou Racing’s Aurélien Panis was also in the wars after nosing hard into a tyre wall. Of the Macau wildcard entries, André Couto proved the fastest, the MacPro Racing Honda setting a time good enough for P25 in the 31-car field. Filipe Souza was next up in Champ Motorsport’s Audi RS 3 LMS, ahead of Teamwork Motorsport’s Kevin Tse. Second Qualifying WTCR Race of Macau takes place from 13h35 local time.